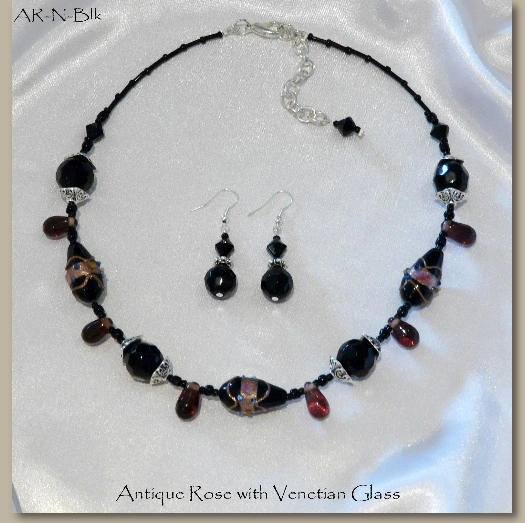 Venetian Style Glass Necklace with tear drop beads. Our team of girls have named this necklace our Antique Rose Necklace. This beautiful black glass necklace can be worn for all occasions whether smart or casual. Each Black Necklace has a beautiful vintage look to it and comes with a high quality clasp and an extension chain for adjustable length. This Costume Jewelry Necklace is a popular seller.